What's your go-to choice for cooking aboard? What are your plans for a hurricane this summer? What's your preference for your dream boat? What do you feel is the best feature of an enclosed-flybridge boat? Keeps the electronics out of the elements. Keeps the captain out of the elements. Offers a second salon upstairs for the owner and crew to enjoy. Has a climate-controlled helm station for those long trips. Looks good at the dock. What is your preferred method of targeting sailfish? Live bait from the riggers and flat lines. Live bait from the kites. Dead bait trolling with teasers and dredges. How often do you fish with your significant other? Just a couple times a year. If you had to replace your helm station's primary chart-plotter, what brand would you select? When it comes to fuel filtration, which of the following do fishing professionals fear most? Running out of spare filters. Algae in the fuel tank. Buying a tank full of dirty fuel. Having to change out engine mounted filters. Getting stuck with the fuel bill. When it comes to repowering, which of the following is the most important consideration? Ratio of weight to horsepower. Ease of maintenance of new system. Effect on future resale value. Ric Burnley’s “Color Me Wow” introduced the array of colors and customizable options available in today’s sportfish paint jobs. When it comes to the look of the sportfisher hull, which do you prefer? Dark blues, slates and black. Don’t care as long as someone else is waxing it. Measure the anglers, precisely match them to the chair. The chair's primary use is as a rocker launcher for the pitch baits. A fighting chair is a tactical tool of great importance to heavy tackle situations. The only chair the boss likes is the sofa in the salon. I catch my fish like I urinate, STANDING UP! When it comes to harvesting a blue or black marlin, where do you stand? Never, under any circumstances, is killing a marlin justified. I'd prefer not to kill a marlin, but will do so in a tournament. When big money is on the line, the flyers come out. In a tournament or grander-class marlin scenario killing is justified. What's the big deal? I don't care either way. If you had your preference, when would you have liked to fish in Costa Rica? Among the very first sportfishers to ever visit. Virgin waters, zero infrastructure. After the first wave, but before it was a thing. A few boats and a little infrastructure. After the marinas before many foreigners moved to the country. More boats, solid infrastructure. Today with all of the amenity in the world. Lots of boats, anything you could ask for. Get me out on the water. I don’t care, I just want to go fishing. A. Old School – Identifying frigates or terns at 20-miles seems like cheating. B. 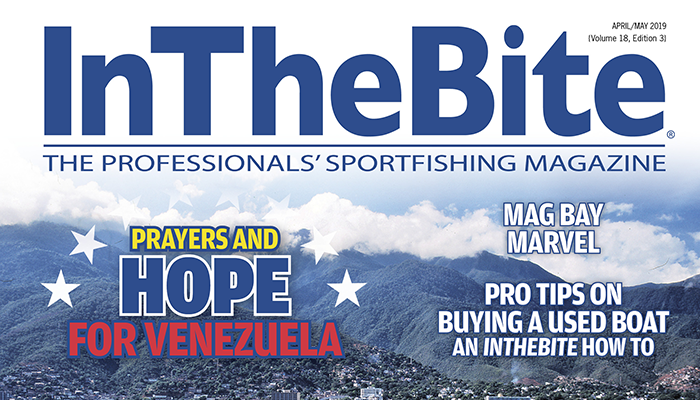 Bottom Line – With all of the money invested in fishing, any advantage is a good advantage. C.	Practical – If everyone else is using the latest technology, those who don’t use it are stupid. 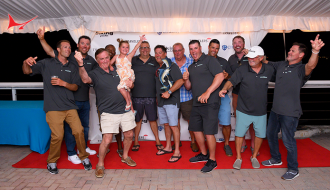 D.	Company Man – Making the most of technology on the boat is a captain’s job. Period. E.	Hungry – As soon as you find me a radar that can detect fried chicken, then we’ll talk. Before having read the article "Swinging the Steel: Time to Take the Shot," what is the most likely way for a tournament mate to learn to gaff big fish? A. He's gaffed a bunch of kingfish, how much harder could it be to stroke a grander? B. Interrogate the old-timers to find out how they did it. C. Here's a flyer, figure it out. D. Gaffing marlin? Not on this boat. We're release division only. When it comes to tournament fishing, which best describes your operation? We fish four or five events. Boss likes to see his name on the board. 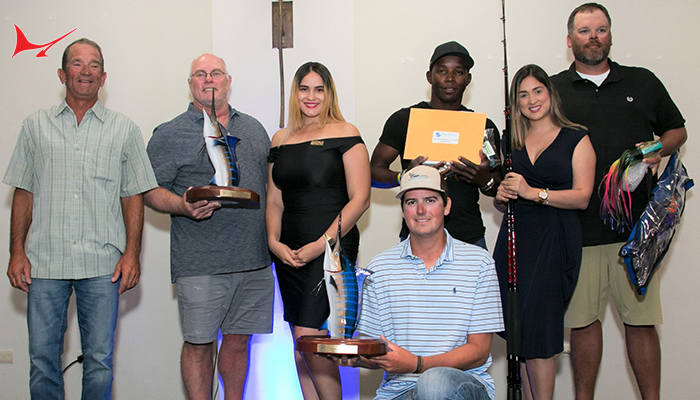 We fish a tournament or two each year. It's a good excuse to catch up with friends. We can't compete with professional teams, so we'll keep our entry fees. Fishing is supposed to be fun, I'm not holding a rod all day! Should a boat caught cheating in a tournament be banned from other tournaments? Yes, including the entire crew. Give them a break, everyone makes mistakes. It depends on how solid the proof of cheating was. Redneck Riviera: Beer, beer, beer, water and some vodka. Git ‘er Done! Hipster/Chic: Craft beer, imported Rum, champagne and old vintage wines. Cheers, eh. Sober Sally: Ginger ale, cokes, waters. This boat is for fishing, not for drinking. DIY Cooler Design: If you want something special to drink, bring it yourself. The Pragmatist: Nothing too top shelf, but a good mix of everything. All the bases are covered. No Interest: Fly fishing is for trout in mountain streams, we're marlin fishing! Dust Covered: The boss keeps the fly rod on board, but we haven't used it in five years. Tippet Tryers: We like it, we're learning and it's becoming an increasingly important part of our arsenal. Masters of the Single Rigger: There's nothing more exciting than a marlin on the fly. That's all we do. For 2018, what are the fishing plans for your operation? A. 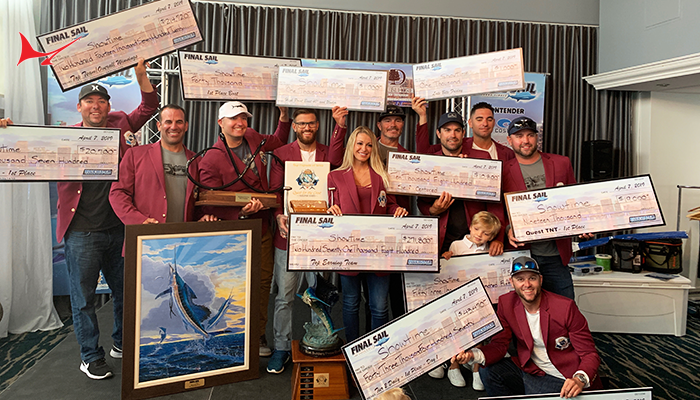 Hard Chargers – We’ve got a full line up of tournaments followed by a stint in a high volume, top end billfish destination. B. Relax and Go Fishing – We’ll see what the boss wants to do. We’ll fish a tournament or two, but we like to fun fish more than fish for money. C. Adventure Fishing – We’re packing up the gear and shipping out to somewhere new and exciting. D. Insta-Famous – We’re stepping up our video and film game. Look out Facebook, our videos are coming. E. A Little Bit of Everything – We’ll fish some tournaments, we’ll do some relaxing, we might seek out an adventure or two and maybe we’ll post a couple times on social media. How would you feel about seeing hunting (deer, elk, hog, waterfowl, etc.) 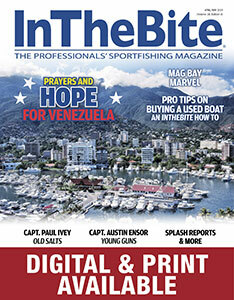 editorial in the pages of InTheBite Magazine? A. What kind of person would shoot animals? Don’t do it… you cruel bastards. B. It’s a fishing magazine, stick to fishing. C. I don’t care either way. D. Sure, I like hunting. As long as it doesn’t take away from the fishing content, go ahead. E. If it flies it dies! If it’s brown, it’s down! Awesome, bring it on. A. Big Girl – A sportfisher of 80’ or larger. Lots of room for lots of people. B. Large and In Charge – A 65’-80’ sportfisher. Room enough for lots of people, yet fishable in any condition. C.	Midsize sportfish – A 48’-65’ sportfisher. This class of vessel is a tournament staple the world over – for good reason. D.	Nimble Sportfisher – Sportfisher under 48’. Classic designs, maneuverability and a cockpit that is near the action are trademarks of this class. E.	Big Center Consoles – Center consoles 32’ and larger are making waves on the tournament scene. These high speed, walk around, vessels open many possibilities. Which of the following tournaments do you consider to be the most challenging? Which tournament requires the most skill for a team to win? 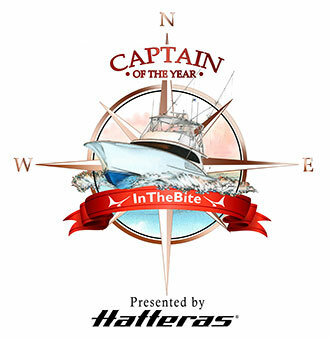 During an overnight voyage, the average time for a crew member’s wheel watch should be _____. 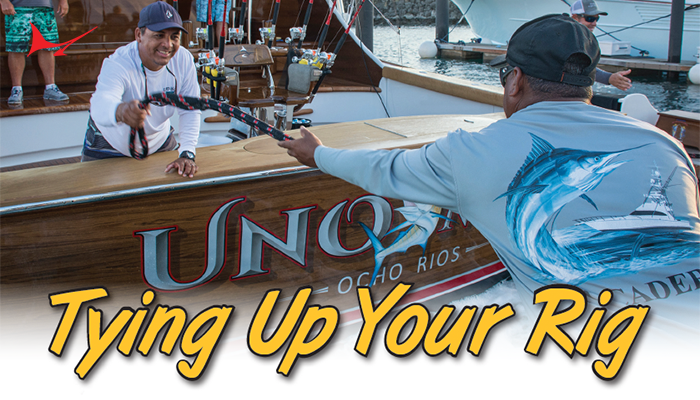 Which is the main reason veteran sportfishing boat owners sell their boats?